It’s no secret that vaping is very popular amongst middle and high school students. Even though e-cigarettes were intended to be a solution for adults to quit smoking, it is far more popular amongst students who have never or would never touch a cigarette in their lives. When I first started traveling to schools about two years ago, the schools would have a variety of issues, they would ask us to speak on the topics of marijuana, alcohol, addiction as a whole, or even heavier drugs. Now, every single school we go to asks us to speak only about vaping and e-cigarettes. Here are some obvious ways we see that these companies market directly towards that age group. 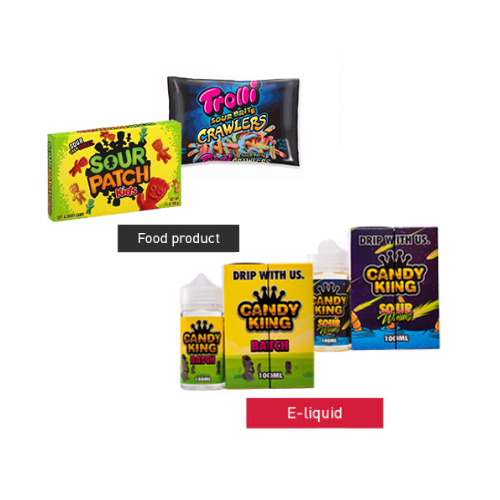 When vaping was first starting to surface, you could see plenty of ads for the different brands and products, but as people started to crack down on these ads because they were worried about kids seeing them, the vape companies turned to sneakier marketing. If you scroll through Instagram, you will surely see at least a few different influencers. These influencers are popular pages that have huge followings of people of all different ages. Many of these influencers have products that sponsor them, like SugarBearHair, FitTea, FashionNova, and so many more. Some influencers are even sponsored by JUUL, the most popular e-cigarette brand amongst teens. If you look up #JUUL on Instagram you will see plenty of pictures of 20 something year olds at the beach, memes, videos, and especially influencers. If you look up #ad, there are a lot of different kinds of ads, but as you scroll, there’s sure to be a few for different e-cigarettes. These ads are sneaky because to a youth, they just look like one of their favorite celebrities enjoying a product, but kids don’t see the thousands of dollars that companies spend to market through influencers. These ads portray a lifestyle that looks glamorous or desirable, and sneakily advertises a nicotine product. When you look at the original designs for e-cigarettes, there were a couple that got really popular. One of them looked like a classic cigarette with a blue light at the end, and the other was a really big and clunky “cartridge.” When you look at all the current designs for e-cigarettes now, especially JUUL, they are sleek, they look like a piece of technology. JUULS look exactly like flash drives, and they recharge in computers which makes them feel like the newest piece of technology. This makes them not feel like a tobacco product. In a student’s mind, when they think of tobacco, they think back to all the Red Ribbon Week ceremonies that talked about the dangers of cigarettes, cigars, chewing tobacco, and all of those “analog” styles of consuming nicotine. For a student, JUULs don’t necessarily feel like a tobacco product, and because of this, it is easy for their brains to default to thinking that something is safe. In the Los Angeles County alone, there are 8,000+ different flavors of vape juice. When you see some of the popular flavors, there is no doubt that they are marketed towards kids. Some of the popular flavors are Ihop Pancakes, Starbursts, Mango, Cotton Candy, Froot Loops, and even as weird as Nacho Cheese Dorito flavor. I could make this whole section just a crazy list of flavors because there are such weird ones like Crab Legs and Spoiled Milk. A huge part of the appeal especially of the disgusting ones isn’t so much to enjoy the flavor, but it’s almost like beanboozled jelly beans where the appeal is to try a flavor just to see how gross it is. The sad thing for these kids is whether they are trying the flavor to taste how good or bad it is, they are still consuming nicotine and getting addicted. Even though some of these flavors may sound really tasty, the way that these companies market to kids is disgusting.